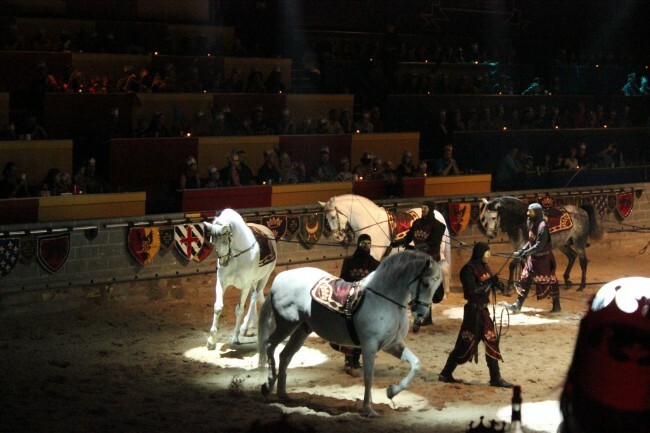 One of the things we had never done in Florida was to go to see Medieval Times. 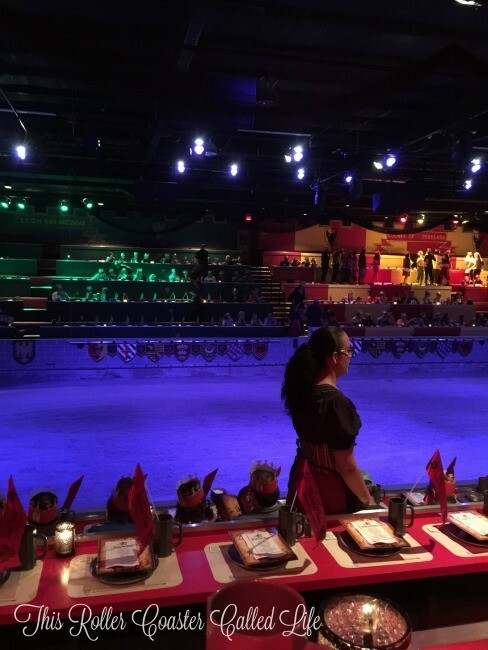 We had been to a show that was similar, but we had never been to Medieval Times itself. 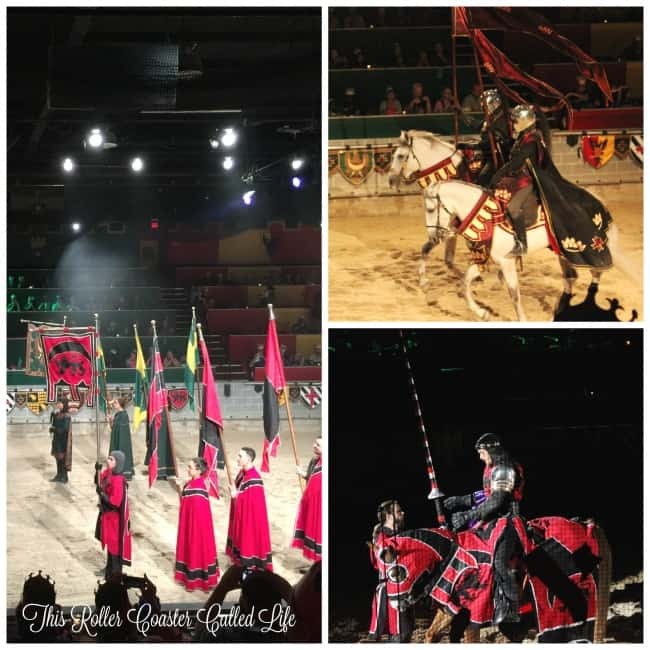 So, I’d love to share our thoughts on Medieval Times, but I will first stop and say that my family was treated to the show free of charge in hopes that we would share our experience. Having said that, all opinions I’m about to share are our own. As we entered the castle, we were transported to 11th century Spain. 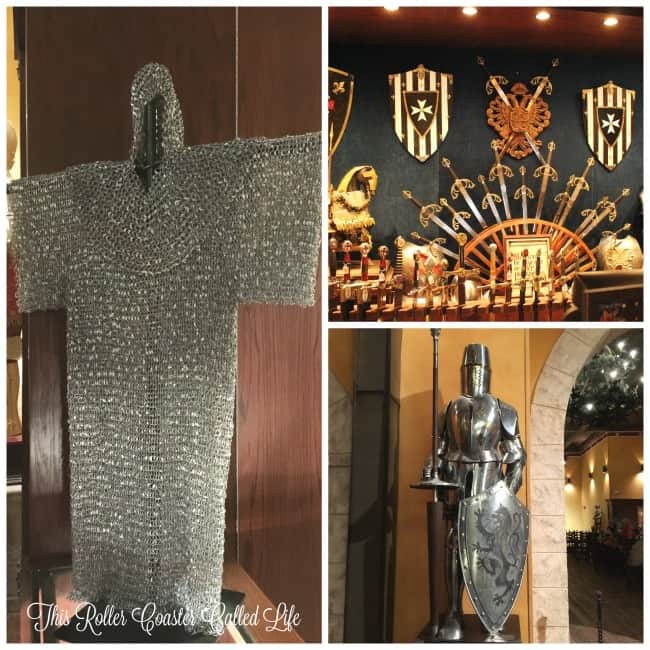 Well, that is after we picked up our crowns and had the souvenir picture taken… There were knives and swords galore, and what do you think about this chain mail? That seems like it would be awfully heavy to wear. At least, it felt like it would be when we held up the bottom of the garment above. 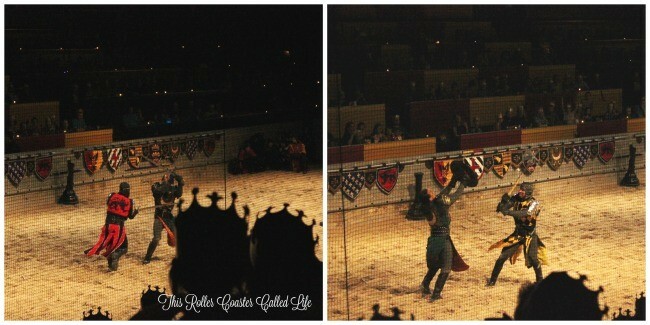 Then, we came to what sets Medieval Times apart from the other show we’ve been to. Education. 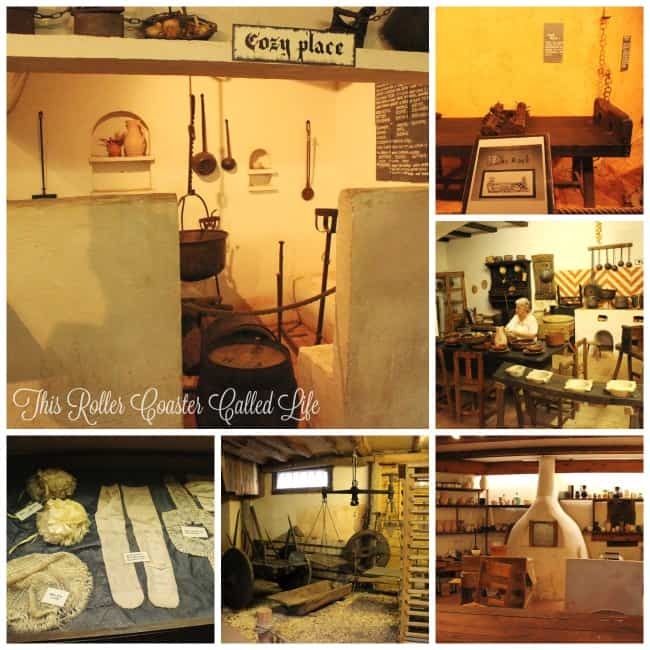 Not boring education, but items from the Medieval time period. There was so much to see! We were glad there were a couple workers who gave us more information about the items on display. There was so much that I can’t show pictures of it all, but here is a sampling. There were many implements of torture, starting with the rack. I think my favorite areas were the kitchen with stories from that time period and the section with the sewing/candle making. There was just so much to see, but soon it would be time to be called in to dinner. We headed back to the castle to wait for the glorious sound of the horn calling us to dinner. By this point, there was a mass of bodies waiting for their sections to be called, so it was a little tight. We were in the Red Knight’s section and were one of the last sections called. Everyone sits in rows facing the arena, and there is space for the servers to walk between each row. When it is time for food or drinks to be served, the servers would carry trays of food and offload the food from the tray to our plates. This also meant that some of the action was then blocked from view. King Don Carlos cooks up a mean feast for the guests. The fare includes garlic bread, tomato bisque soup, roasted chicken, sweet buttered corn, herb-basted potatoes, the pastry of the Castle, coffee and two rounds of select beverages. We requested the vegetarian meal, and it was very tasty. The vegetarian meal includes hummus, warm pita bread, carrot and celery sticks, three-bean stew with fire roasted tomato and brown rice, fresh fruit or Italian ice, coffee and two rounds of select beverages. While the food is good, let’s be honest. The food isn’t the full reason we went to see the show. We went to see the knights and the horses. The horses were beautiful as they pranced in unison. I think I would have been happy just watching the horses run and the falcon fly, but there is more to the show. See, King Don Carlos has a daughter, Princess Catalina. Six knights from across the kingdom are here to fight for the affection of the princess. But, who will win? There are several challenges on horseback, but in the end, it comes down to the hand-to-hand combat between individual knights. Our knight, the red knight, ended up winning the tournament that night. For the most part, we really enjoyed the show, and we definitely enjoyed viewing the village beforehand. It was a nice combination of learning and fun! 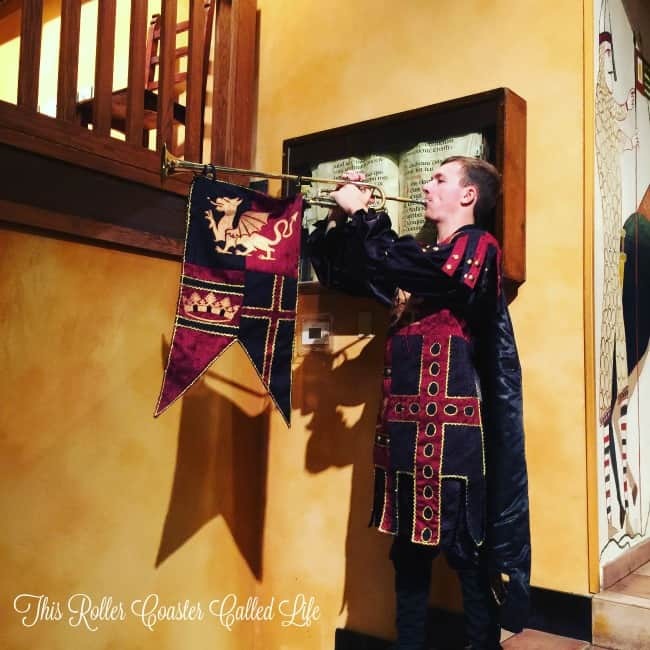 There are several things to think about when taking a child on the Autism Spectrum (or a child with other sensory issues) to see Medieval Times. First, it is dark and can be loud. If your child likes to wear ear protectors, you might want to have them handy. There are several violent scenes during the hand combat section where you can see sparks flying between the metal weapons, and you can see in the pictures that the acting is very realistic. We talked with Marvel Boy before going to the show to warn him about what he might see, and he did ok during the show. We were a little further back, and I think this helped a lot. Currently, pricing for Medieval Times is $62.95 for adults and $36.95 for children 12 and under. There are also packages that include VIP seating and other perks for additional charges. Just keep in mind that the tip is not included. If you are thinking about going in March or April, look on the Medieval Times website for their Spring Break 2016 special. 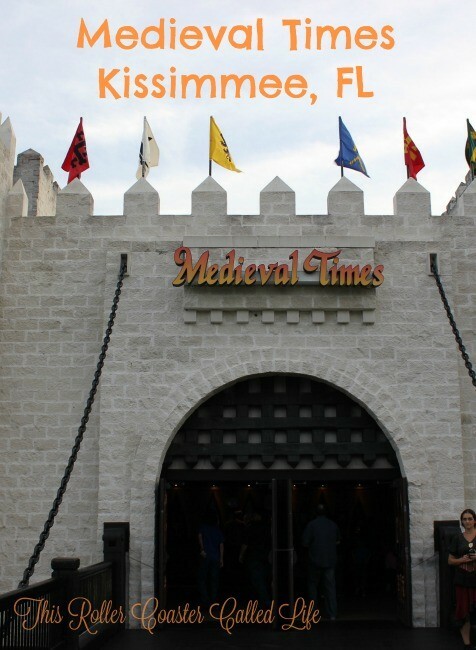 Medieval Times doesn’t just have a location in Kissimmee Florida. 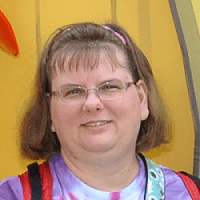 So, if you aren’t heading to Florida soon, you may be able to find a show closer to home. 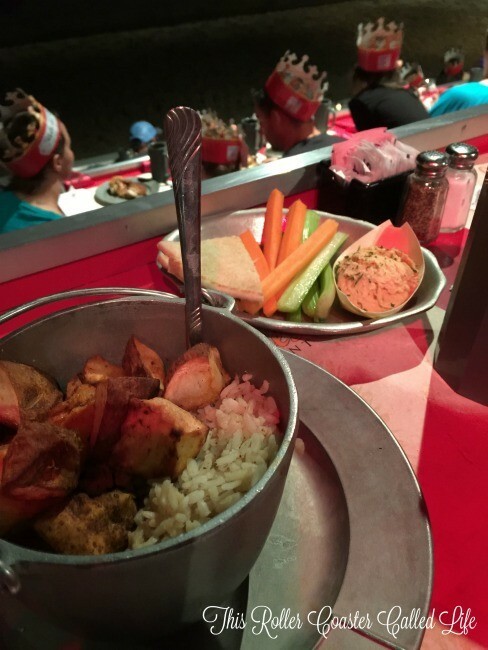 Medieval Times is also at the following locations: Atlanta GA, Buena Park CA, Dallas TX, Myrtle Beach SC, Toronto ON, Baltimore MD, Chicago IL, and Lyndhurst NJ. We have been to Medieval Times in Florida 3 times now and have enjoyed it every time. We love to get there early to see the village. 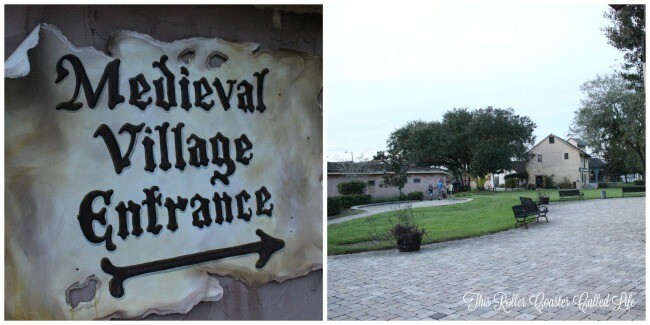 The Florida medieval Times is the only one that has the village in it so that is an added plus. I didn’t know they had a vegetarian meal, but it looked really good. I am looking forward to going back sometime.